This is my final blog post as co-chair of COMPASS – it has been an honor to represent students and postdocs in the leadership of ASCB and create opportunities to discuss our career successes and struggles, increase diversity, and improve training for our futures as cell biologists and advocates for science. 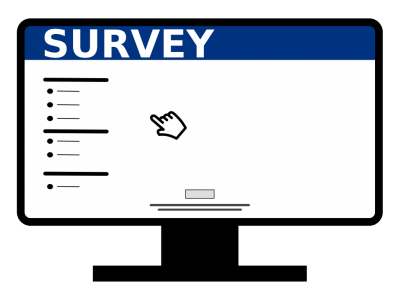 In the last 6 months, our committee designed a survey directed specifically to the ASCB student and postdoc body in order to understand your concerns – and more importantly, what you need from ASCB/COMPASS to make your experience as a student/postdoc better. So far we have received approximately 350 responses! Thank you so much for your participation! While the full results of the survey will be published and further discussed soon, I would like to briefly share with you some important data we gathered. 1) Students and postdocs are interested in academia (and industry too). Not surprisingly, most respondents are considering a career in academia (research-oriented), but a significant number also consider industry as a career option. It is an important reminder to mentors, university career centers, and scientific societies that being a student or postdoc does not necessarily mean going to academia. This is also a reminder to the biotech industry: Young cell biologists think about working with you! However, most respondents think that there are not many career resources/there is not much training available for people seeking an industry career. The ASCB has been doing a great job promoting the Biotech Mini Course before the Annual Meetings, which is highly recommended for students and postdocs thinking about careers in industry. Furthermore, networking is very important: If you are attending the ASCB Annual Meeting, stop by the exhibitors’ tables not only to ask about their new products/services, but also to ask about career opportunities. Most of them were graduate students before this, and they can give you fair advice. COMPASS is sponsoring the career center and a networking happy hour event on Monday (12/05) from 4 to 6 pm in the Career Center. This is also a great opportunity to meet industry professionals. 2) Career planning or “never too late to change.” Planning for the future seems to be the major concern of students and postdocs. Most survey respondents said that during graduate school is the time when career planning starts. It does make a lot of sense. Students are in a transitional state before becoming professionals. And that’s the most appropriate time to have this sort of reflection. It is interesting to think about how important the graduate student–postdoc transition is. According to our survey, most postdocs already did their career planning—which probably involves research. However, if you ask how many times they changed their minds regarding career choices, only 25% of the respondents said “I never changed my mind.” The suggestion here is clear: always be open-minded about the diverse career opportunities you can have—and never be afraid of changing. Try to use as many of the resources available as possible, from your university/company, your peers, and an open relationship with your mentor to help in your career planning. Don’t forget to visit the career center during the ASCB Annual Meeting! A variety of talks and workshops will be happening exactly to help you make your choices. 3) ASCB participation or “what can we do for you?” Most of our survey respondents have been ASCB members for 1-2 years only, usually joining our society to attend the Annual Meeting (which is a fantastic reason). But I would like to remind you that ASCB (including COMPASS and the other committees) is a year-round enterprise. From member-created local meetings to outreach grants, the ASCB works the whole year for its members. It is important to check the ASCB website, read the Newsletter and the e-mails during the whole year. Survey respondents also think the ASCB should help its members on two major topics (a) leadership training and (b) means to find employment opportunities. For leadership training, my first suggestion is: join COMPASS! Being a member of a committee—at your school, in a scientific society—is leadership training by itself; in addition you will also be helping your peers. This type of volunteer work will not be damaging to your scientific work (most of the people who are active in scientific leadership are usually leaders in their fields of study too), and will make you ready for the hard choices you will have to make ahead in your career. Read about getting involved with COMPASS here. Career finding once again is a relevant topic, and students and postdocs want to know where to find jobs. While ASCB has a job board, I do believe we should have workshops to train us on where and how to find the jobs we would like to apply for. Definitely the suggestion is in our to-do list. 4) ASCB and its demographic diversity. One of the special flavors of the ASCB is its concern regarding the diversity of the scientific workforce. This advocacy can be seen by the multiple committees/groups that tackle these concerns, such as the International Affairs Committee (IAC), the Women in Cell Biology (WICB), the Minorities Affairs Committee (MAC), and the task force on LGBTQ diversity. The diversity which ASCB promotes is also present in our survey. Most of our respondents are 26-35 years of age, and 56% are women. From this, we can believe that in the future we should have at least an equal number of science jobs for men and women—and equal pay. Regarding ethnicity, we had 10% Latinos and 3% African-American respondents, clearly showing there is a lot of work to do to include more minority groups in science. Ten percent of the respondents identified themselves as members of gender or sexual orientation minorities, which is a recent concern from ASCB to make sure that all minorities are covered in terms of career opportunities and advice. Approximately 15% of the students and postdocs that answered our survey do not live in the United States, and 33% of the respondents that live in the United States (myself included) are citizens of another country, with China and India being the most popular countries. These data show clearly how international the ASCB membership is, and how important is to address issues that international fellows deal with, such as immigration laws and grant applications. ASCB and COMPASS will produce more surveys in the future to address some other specific issues that came out from this initial survey. We truly appreciate your participation. Finally, I would like to thank you for the opportunity to represent the future of cell biology in its major scientific society! See you in San Francisco! Please attend all the fantastic COMPASS events we worked hard to have ready for you!